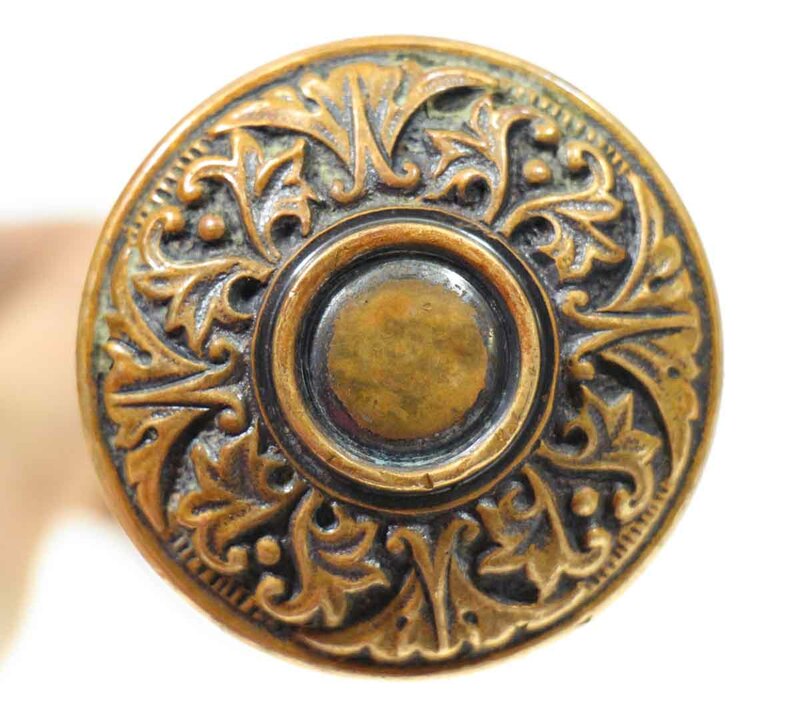 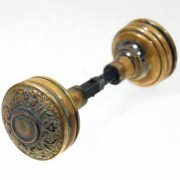 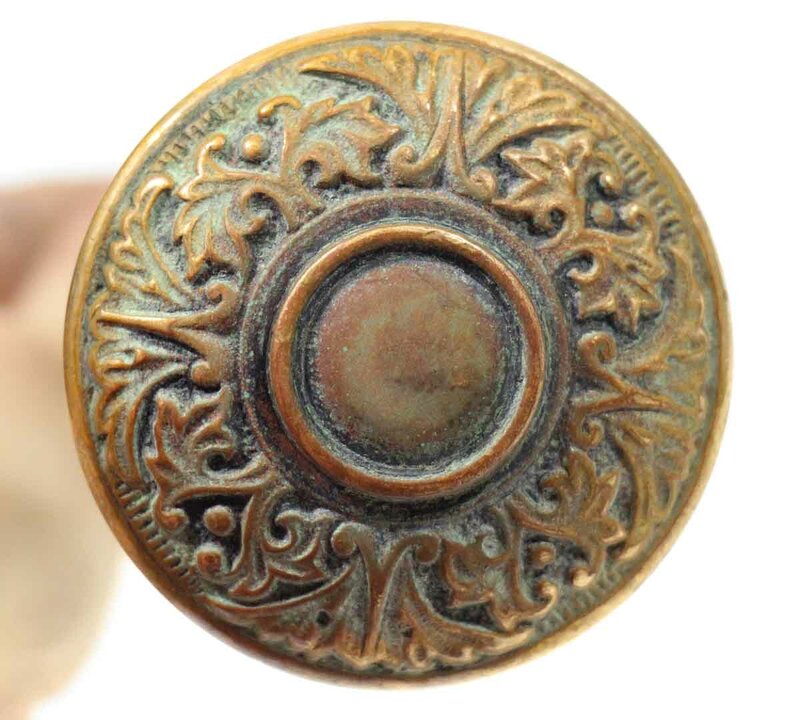 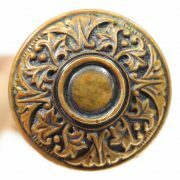 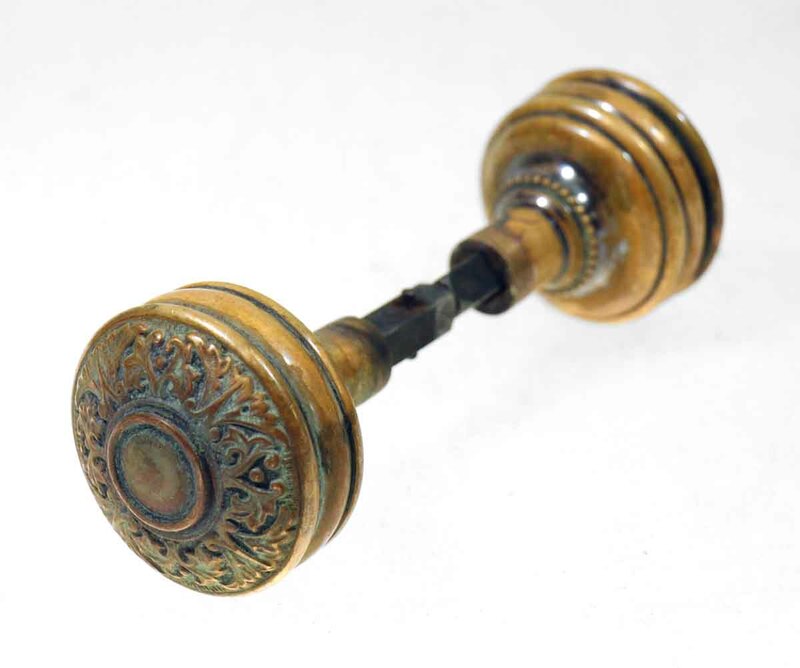 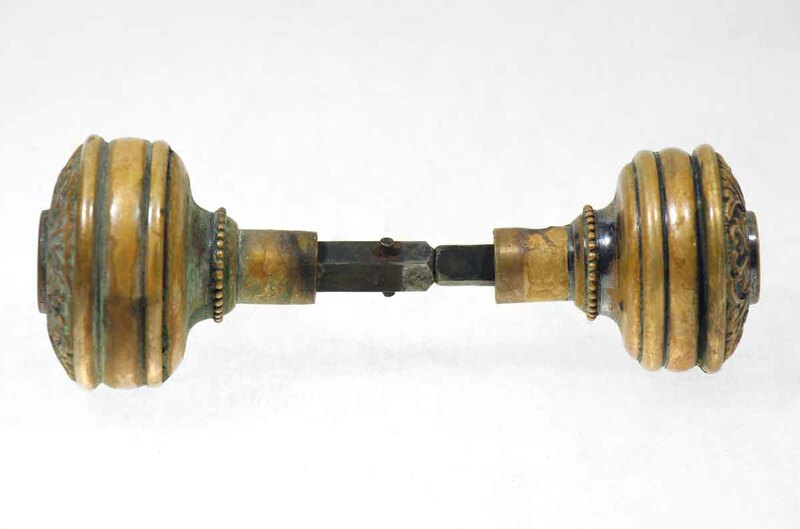 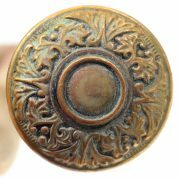 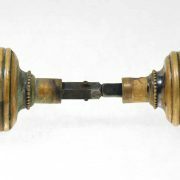 Antique Corbin door knob set made in 1895 and discontinued by 1905. 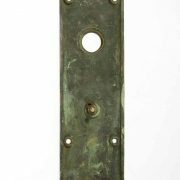 It is part of the H-41400 Jacobean group. 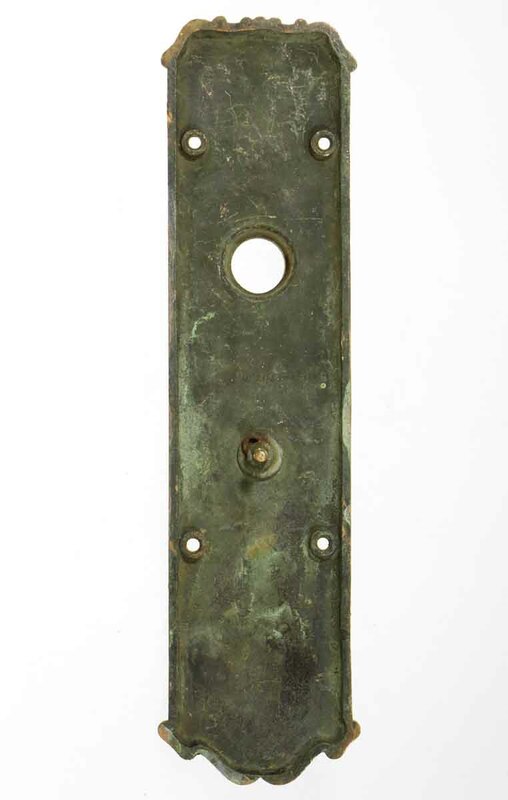 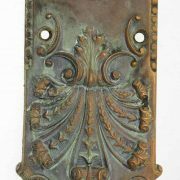 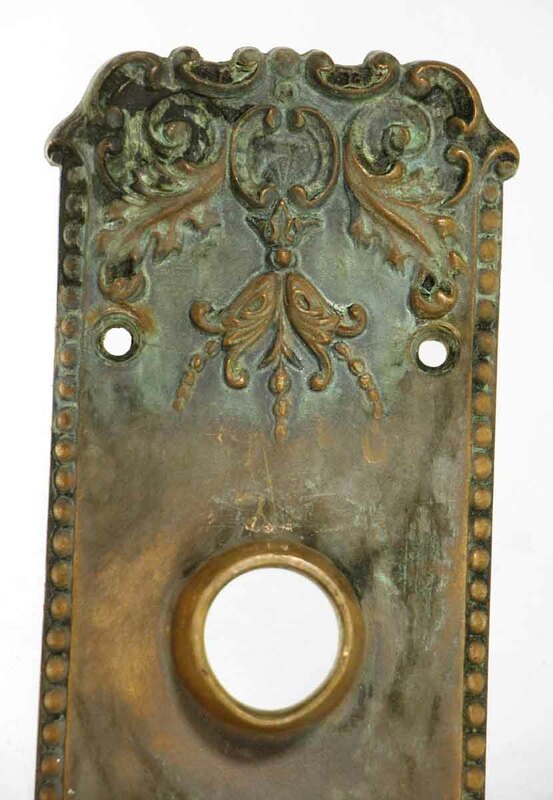 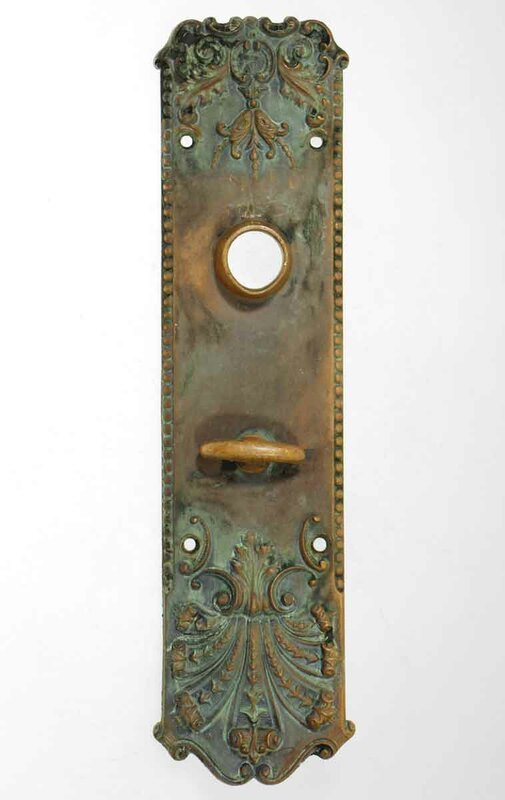 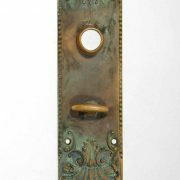 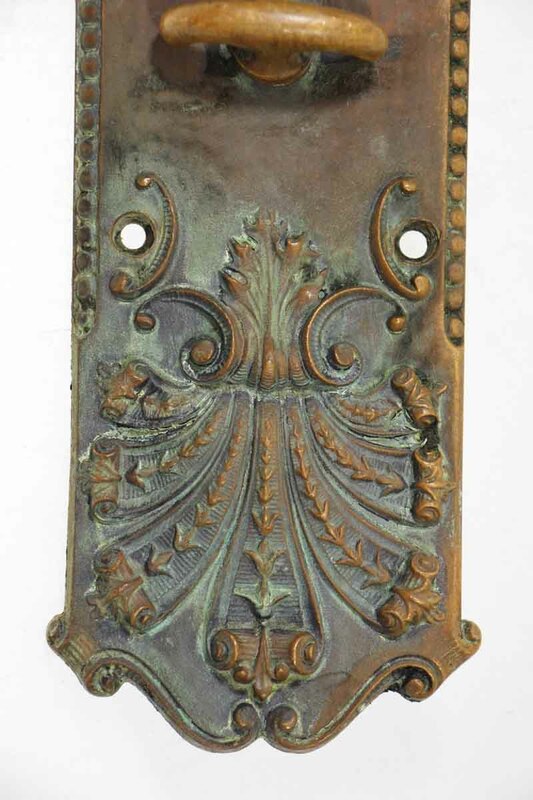 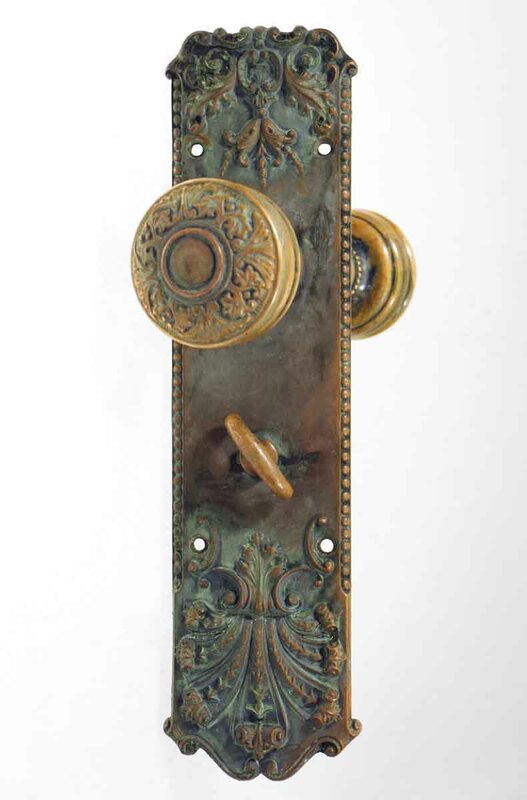 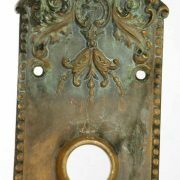 This set includes two back plates and two doorknobs.